Oh my! Do you ever realize that it is already April now? The 4th month of 2016! Time fliessss so fast and oh well... So Mother's Day is just a month away. It is time to plan something special for your mom. 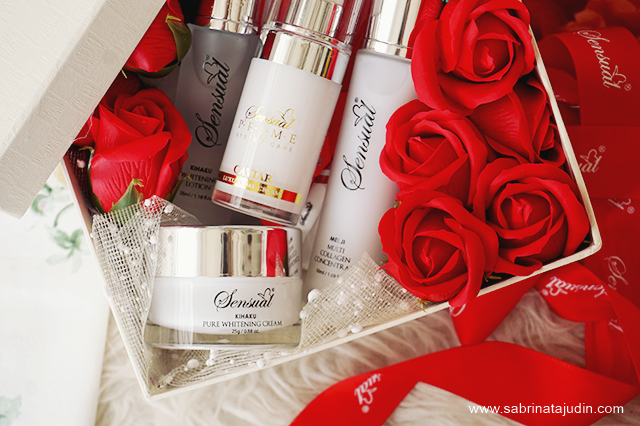 Today I will be featuring this awesome skincare set from a brand called Sensual Skincare! 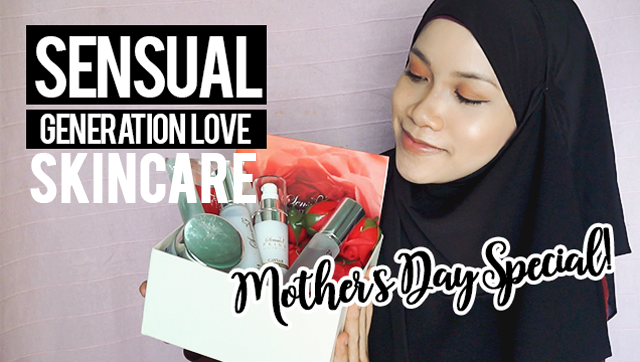 They will be having a special promotion for this coming week and you need to check out because this is the perfect gift you can give for yourself and your mom. Watch my video below for the full demo and info on the sets and products! Stay tune till the end of the video for lots of exciting things I would love to share special for my readers and viewers! 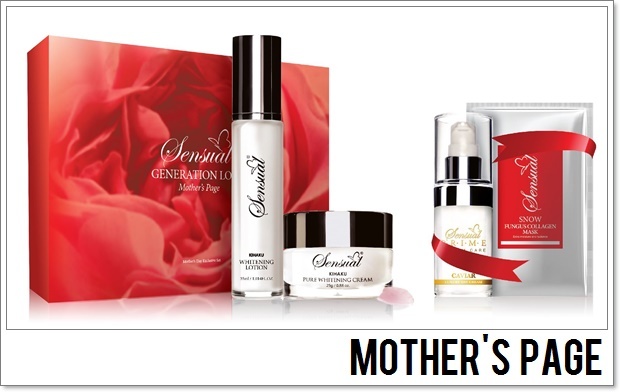 Suitable for mom, or mature skin. Best for people who have Normal to dry skin. Anti-Aging Range. 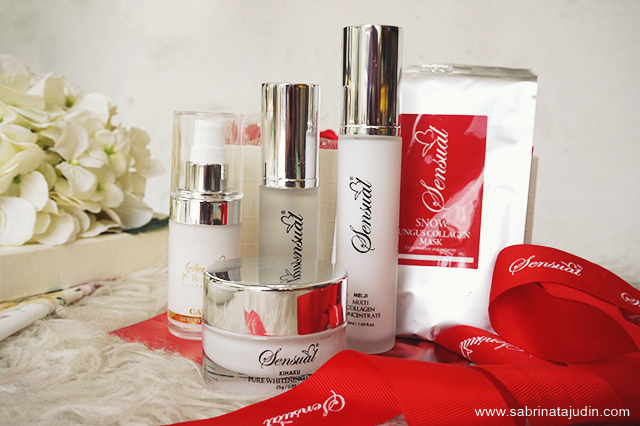 The difference are only either you get the Multi-Collagen Concentrate or the Caviar Luxury Day Cream in each set. This can be use during night time. It has a watery texture just like a toner or a light essence. 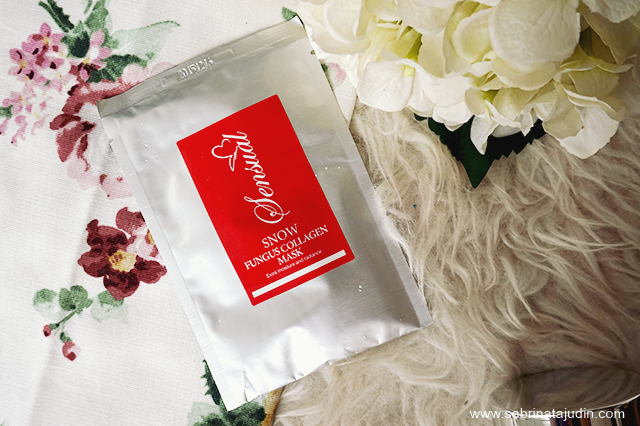 It has a brightening and whitening properties for your skin. It is enriched with micro-elements to fight radicals. 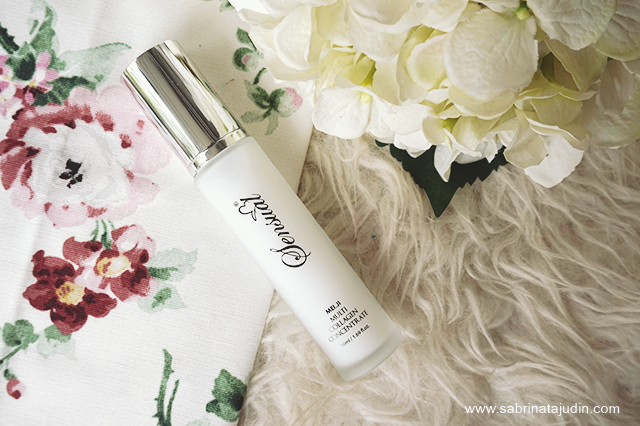 As it has a watery texture it helps to penetrates deeply to your skin and will give your skin looking more radiance. Use this after toner, pour some on your hand and gently pat around your face until it fully absorb. I love the cooling sensation is gives to my skin. It pretty much awakens my skin instantly. This is available in both set. Ingredient Highlight : Niacin, Ascorbic Acid, Pyrus Malus (Apple Fruit Extract), Algae Extract & Allantoin. 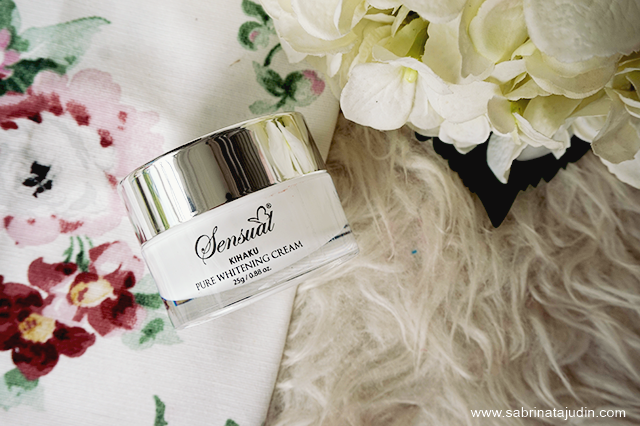 A light creamy moisturizer that everyone will love! Why? It does not leave any greasy feeling. It has a combination of advance technology and active ingredient called, Arbutin. It is an approved ingredient in drug store Japan products. 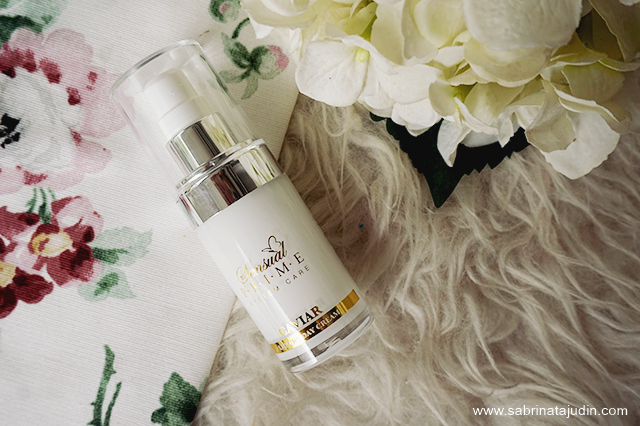 Helps to give your skin looking more radiance. 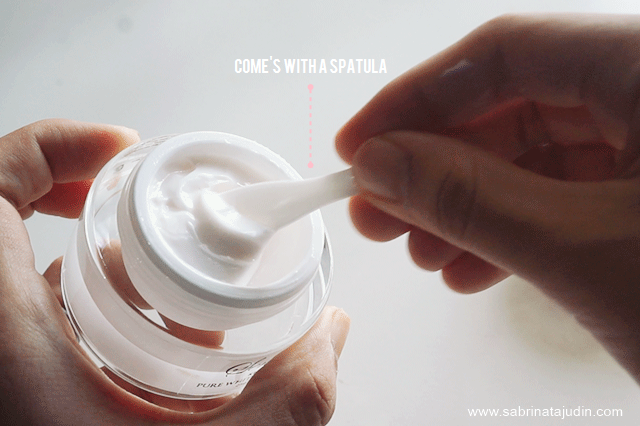 scoop a proper amount from the jar (it comes with a small spatula) and apply this on the entire face. Use this during night time after the Whitening Lotion. This is available in both set. Ingredients Highlight : Gingko Biloba Leaf Extract, Niacin, Arbutin, Tocopherol, Beta-Carotene, Pyrus Malus (Apple Fruit Extract) & Allantoin. Use this once a week or so. If you are planning to use this, you can skip the Whitening Lotion and the Pure Whitening Cream. Use this after you have cleanse your face. Apply this for 15 minutes, massage any leftover on your skin and rinse it with water. Then use your usual own moisturizer. It will gives you an instant hydration and replenishes your skin. This mask is a refinement of a snow fungus. Just like how it looks like, white and translucent, that is what your skin will look like! You will get this in the Daughter's Page. Use this during day time after cleanse and tone. Enriched with high quality amino it helps to balance out the moisture of your skin. It is very light weight and perfect for the day time. After apply this, continue with a sunscreen and your makeup. This will help smoothen out your skin. Ingredients Highlight : Hydrolyzed Collagen, Hydroxypropyl Trimonium Honey, Soluble Collagen, Atelocollagen, Chitosan, Sphingolipids, & Palmitoyl Pentapeptide-4. You will get this in the Mother's Page. Specially made for people who have mature skin. the luxury of a caviar! 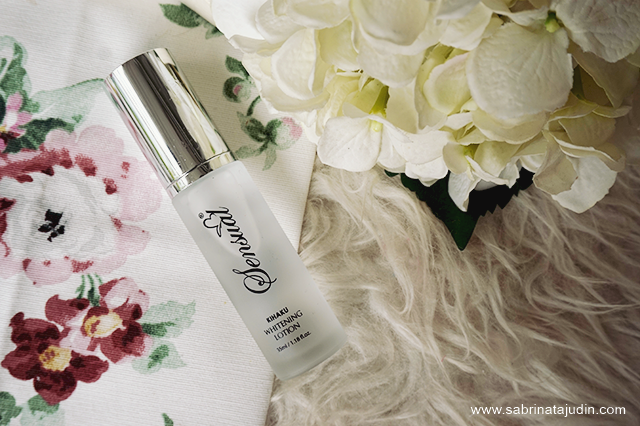 It has an innovative anti aging caviar complex and Bio-peptides, It encourage and reactive the metabolism of skin cells. Stimulate tired skin texture regenerate and balance then moisture of your skin. 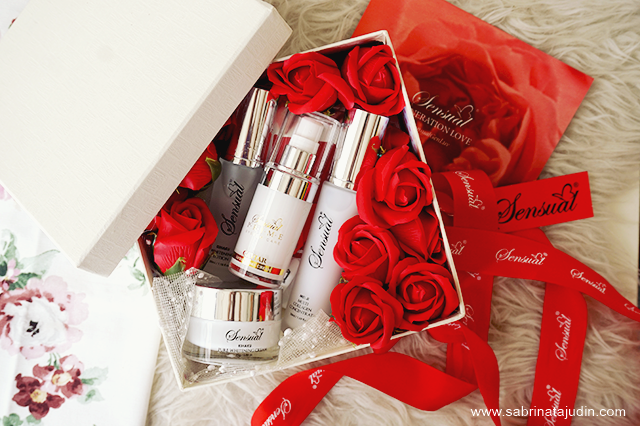 Reduce the appearance of wrinkles and at the same time leaving skin velvety smooth. Ingredients Highlight : Imperata Cylindrica Root Extract, DNA, Retinyl Palmitate, Hellianthus Annuus (Sunflower Seed Oil), Palmitoyl Hexapeptide-12 & Palmitic Acid. Win yourself the Daughter's Page or The Mother's Page! Starting from 11 April 2016 there will be a winner on each 2 weeks. You will win either the Daughter's Page or the Mother's Page. It will be announce through their Facebook Page. Special for my Readers & Viewers, use this code during your purchase of either of the set and get a mystery gift!